It's hardly surprising that Sony is proving its still going strong after selling over a million consoles during the PS4's first launch. The company gave a quick overview of PS4 global sales numbers showing that 2.1 million consoles have been sold as of December 1. 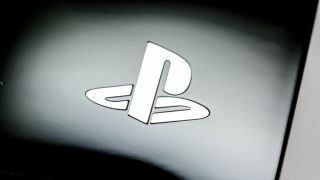 Sony notes the number includes the 700,000 units sold in Europe and the other 32 countries where the console is available. With the holidays rolling around soon, the PS4 numbers are sure to skyrocket - that is if Sony has enough supply for the demand. Andrew House, President and Group CEO of Sony, says in a press release that "demand remains incredibly strong and continues to overwhelm the supply worldwide." Despite this, Sony is optimistic and looking forward to "new features and services" coming to the PS4 "in the months and years ahead" - meaning if you don't have the next-gen console right now, and can't get your hands on one in December, it's not a huge deal as there's plenty of time down the road for Sony to replenish its stock. Microsoft has yet to release its own figures but we're confident the Xbox One can hold its own considering it also sold over a million consoles during its first launch and did quite well during Black Friday.